I'm excited to host this month's edition of Raising Multilingual Children Blogging Carnival. I'm really lucky to be a member of a community of like minded parents who are just as passionate about teaching their children another language as I am. So for this carnival, I posed a question to them: How do you nurture your child's target language? Has it been through play, games, immersion, travel, culture, or books? The responses were fascinating, and wonderful to read! So many great ideas, and resources right here for you! All of them have one goal, and that is to help their children become bilingual, or multilingual. Each one quite unique in their own way, but very much the same. In this post I will be sharing with you how these parents are nurturing their children's target language, and how you too can do the same. After you've read this you're going to want to pin it, or bookmark it for future reference. I'm serious! For Wandermama fostering language in her children has been a family affair. From sending her children to Russia for the summer with extended family, and then relocating to Nicaragua so her bilingual (Russian/English) children can learn a third language: Spanish. Bilingual Babies shares how her eldest child is reaping the benefits of a three week vacation in Spain, and how she's nurturing his and her other children's Spanish now that they are back home. What are the chances of your child being able to go to an immersion school that you're only allowed to attend by lottery? Especially when the waiting list is almost endless. Monolingual mom Ashley from Family on the Loose shares how immersion school has impacted the lives of her now bilingual children. Fun, games, music, and play time! Rita from Multilingual Parenting has a wonderful post on how fun and games with words can encourage your child to be bilingual! This post is right up my alley! She suggests telling stories, using puppets, and play word games for a fun language learning experience. Meanwhile Becky from Kid World Citizen guest posted on Spanglish Baby on how with a little bit of creativity she uses board games to teach her children Spanish. Her family enjoys playing board games, and this is a great opportunity to incorporate language learning with some fun games. 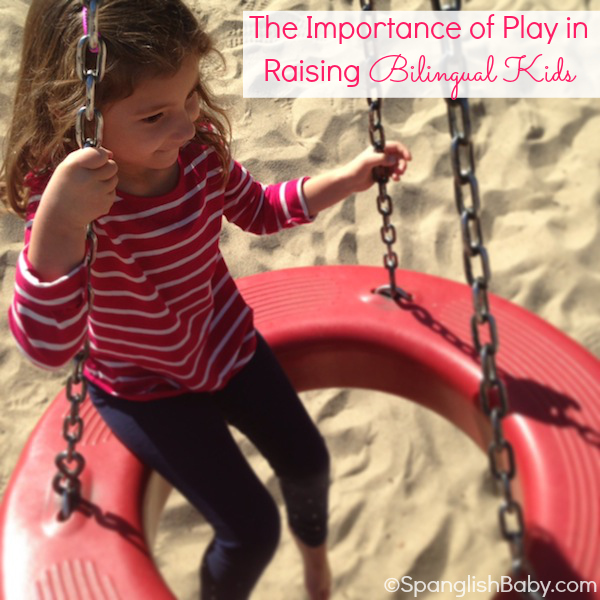 Ana from Spanglish Baby promotes the importance of play in raising bilingual kids. As she states, "They learn most of their skills through play, and language is no exception." She also shares some great tips on nurturing language skills through apps, games, and my favorite of all: playgroups! Giselle from Kids Yoga Stories has come up with a unique way to to nurture language learning and yoga with her child. She uses the opportunity to teach her child Spanish while working on yoga moves. Being able to pursue her passion, and share it with her child is definitely a win-win situation for both parties. Over at Spanish Playground, Leanna from All Done Monkey guest posted on creating a wonderful game out of a popular children's song in Spanish! The song has been stuck in my head, and I've been singing it over and over ♫♫ un elefante se balanceaba sobre la tela de una araña...♫♫ This is a hit with her children, and the playgroups she's used it in. Talking about popular children's song. How about translating popular nursery rhymes? Varya from Creative World of Varya guest posted on Multicultural Kid Blogs on how easy it is to translate popular nursery rhymes into your target language. This is a great way to incorporate your target language into popular children's nursery rhymes sung to familiar musical tunes. Along with translating the nursery rhymes why not make nursery rhyme wall charts! Abbi from Taco de Lenguas came up with this awesome hands-free and visual nursery rhyme wall chart. Her little one often points at it, and they stop and sing! While you're singing add some number songs in there as well. Amanda from Miss Panda Chinese shares how children learn another language through singing, dancing, clapping hands, and jumping up and down. Do not underestimate the simple power of spoken words. By just talking in the target language you are encouraging your child to talk as well. Annabelle from The Piri Piri Lexicon shares how interacting with a native speaker supersedes apps, books, or even music. She shares her own experience on how having her Portuguese speaking mother-in-law visit, and stay with them has boosted her daughter's language learning. Heidi Gill, Author of 2 Kurious Kids shares how family time is important to nurture her children’s language learning with the help of family: “One of the most effective ways my two children have been able to learn their father’s language (Punjabi) is by spending time with our extended family. When we are all together they listen to all of the conversations in Punjabi and they find it entertaining to try and understand what everyone is saying. My niece will often play games with my kids while teaching them Punjabi. They of course think that is much more fun than me translating words for them or even reading from a book. My niece uses lots of repetition and that seems to really help my children absorb and learn the language." You've read how native speaking family members help with language learning. But have you ever wondered how a monolingual family member can take an active role in the child's bilingualism? Olena from Bilingual Kids Rock provides a list with wonderful suggestions that will help both your monolingual family member and child. Mama Tortuga shares with us a list of how she ignites a love for another language in her kids. The one that really stands out to me is how she focuses on teaching a culture and not just the language. Both culture, and language go hand in hand. She shares how she does this by "...enchanting their hearts about learning and talking to me in different languages." Read Early, and Start Soon! Lina from Best4Future started nurturing her baby's second language from the womb! Talking & reading to her unborn baby in Chinese, and even after birth has helped nurture the language in her daughter thus creating a compassionate parent-child relationship. Ute from Expat Since Birth shares a similar experience, and emphasizes that reading is by far the best way to build up linguistic, and develop vocabulary. Creating a daily routine from the moment they are born helps boost their brain development, and speech skills. Most parents agree on one thing when raising bilingual or multilingual children and it's igniting a love for language through literature. And this is exactly what Sarah from Baby Bilingual has done with her children teaching them another language through the magic and wonder of books. Alex from Glittering Muffins shares some great tricks on how to tackle multilingualism stemming from his own personal experience raising their trilingual (French, English, and German) son. He also shares a cute video of his son speaking in both French, and English! A must see! Adriana from Home School Ways a polyglot herself, and home schooler blogs about her top ten strategies for raising polyglots. Her children are well on their way to becoming polyglots with French, Romanian, English, and pretty soon Spanish under their belts. Amanda from The Educator's Spin On It shares how she has various environmental prints displayed through out her home. This is a good way for your children to further develop their vocabulary in the target language. Kristen from Toddling in the Fast Lane has devised various strategies to incorporate language learning at home, and shares what has worked for her. Not only does she nurture her child's language learning skills she's scouting for minority language opportunities to supplement at home her daughter's language learning skills. Carol from a French American Life focuses on teaching French one child at a time. She uses books, music, flash cards, and on-line resources to teach her children French. However, not having a French speaking community such as, friends or family for support (except her husband); and teaching her children French falls on her. Nonetheless, to continue nurturing a love for the French language in her home she will be enrolling in French classes. Kali from For the Love of Spanish shares how she has learned to initiate teaching Spanish to her children, and how teaching them they end up teaching her more. In my case, I am the sole Spanish speaker in our home. I can't rely on family members, or friends. Especially when my child attends a monolingual school all day. So at home I supplement what he's learning in English and I also add Spanish home lessons where he has plenty of play, fun, crafts, and games to learn Spanish. I couldn't help but to categorize this last post submission on its own. Now keep in mind, just because it's the last it certainly isn't the least of them all. If all of the ideas above are not enough for you to nurture your child's target language, then I bring to you Adam from Bilingual Monkeys' 96, yes 96 things you can do to boost your child's language ability! I love his list! I hope you've enjoyed this compilation, and are pinning, and sharing this post with others. If you have read this far you're leaving with a wealth of information from parents all over the globe with one common goal to teach, nurture, and foster another language in their children. Take advantage of it! "Multilingualism is becoming a social phenomenon governed by the needs of globalization and cultural openness." Give yourself a round of applause because you are an essential instrument in making this happen! 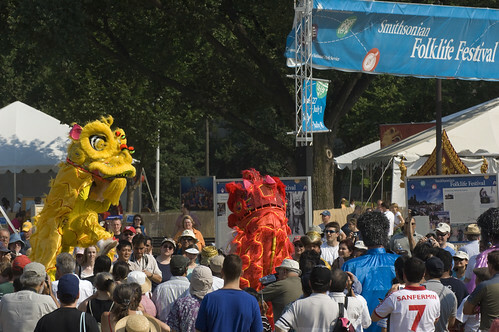 If you're interested in hosting or checking out past month's multilingual carnival please take a look here.